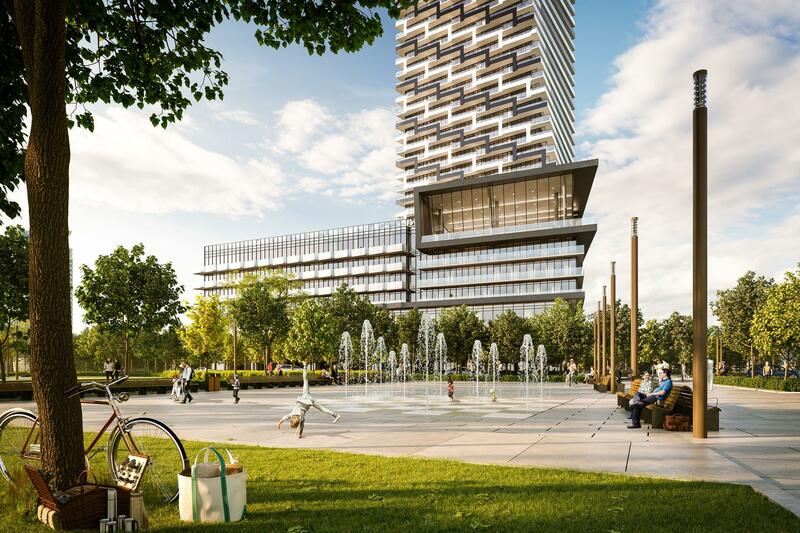 M3 CondosMississauga, new community is designed for pedestrians, with a generous tree-lined promenade and a range of retail shops and cafes at street level, and only minutes from transit options including the proposed LRT. The master plan of M3 Condos was designed by internationally renowned urban planners Cooper Robertson from New York. Green spaces in urban places, both on the ground and in the air. The natural environment is important for our well-being and M City has plenty of it. Connected to the Mary Fix multi-use trail and the neighbouring John “Bud” Cleary Park, M City brings important connections to existing parkland and introduces over 2 acres of green space to accommodate a range of outdoor activities. There’s so much to see and do near M City. Experience the vibrant culture and rhythm of life in the City Centre. Shop the top fashion brands at Square One. Enjoy more date nights at Jamie’s Italian. Take in the art scene at the Art Gallery of Mississauga. Laugh and play in the parks. Cycle through the bike trails. Meet the neighbours. Get out, explore and have fun.